The EnZo Necker 70 is a product of Finland and utilizes a full-flat ground Sandvik 12C27 stainless steel blade with full-tang construction. 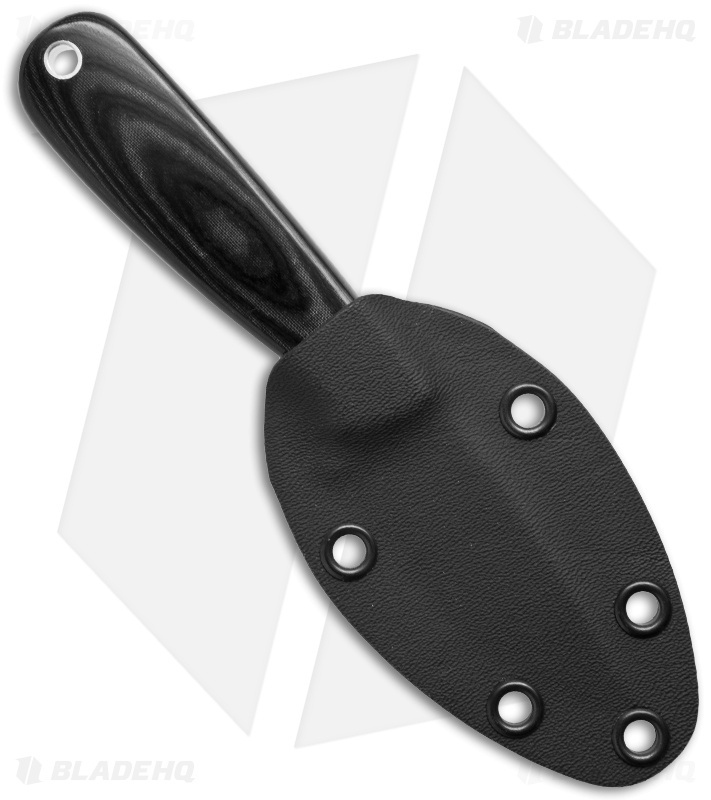 Black Micarta scales are fastened to the handle for both function and aesthetic appeal. The Necker includes a Kydex sheath. Relatively small fixed blade. The grind on the knife is very low, about 1mm. Micarda handles are very beautiful but are on the slippier side, lacks texture. Spine is relatively sharp, can flick sparks, but not as sharp as a bushcrafting spine. Overall though the knife is well constructed but falls short in some areas. The sheath is probably the worst part due to the lack of retention, especially when advertising it as a neck knife. Most kydex sheaths have an area where the item is "clicked" into place. 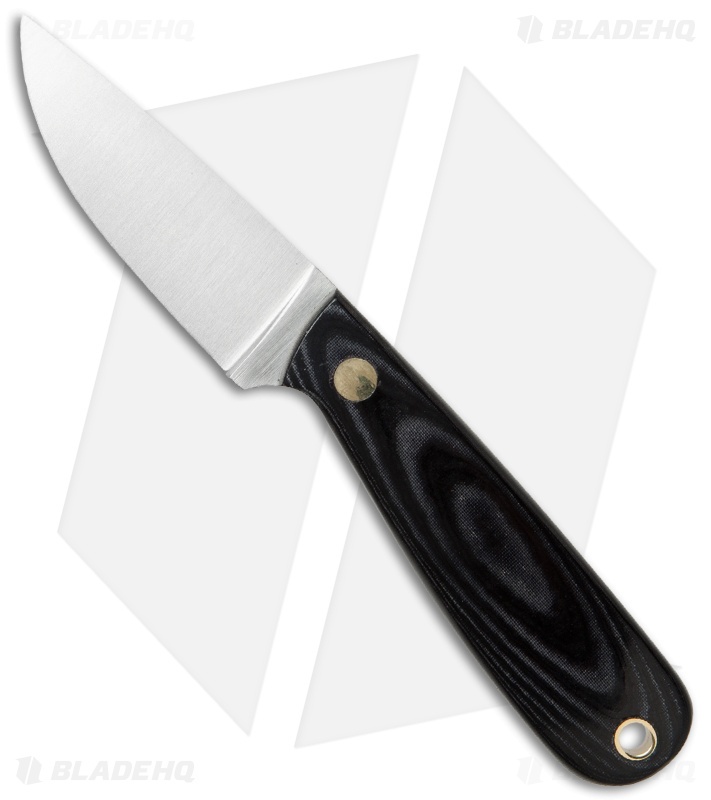 This sheath is purely designed for friction retention with no clicking points. Also a piece of felt is attached to the inside of the sheath to aid in this. Unfortunately it doesn't work well. Solid knife, poor sheath. Would be 5 stars if the sheath was good, or if the price point was 20 dollars less. Also wasn't very sharp out of box.